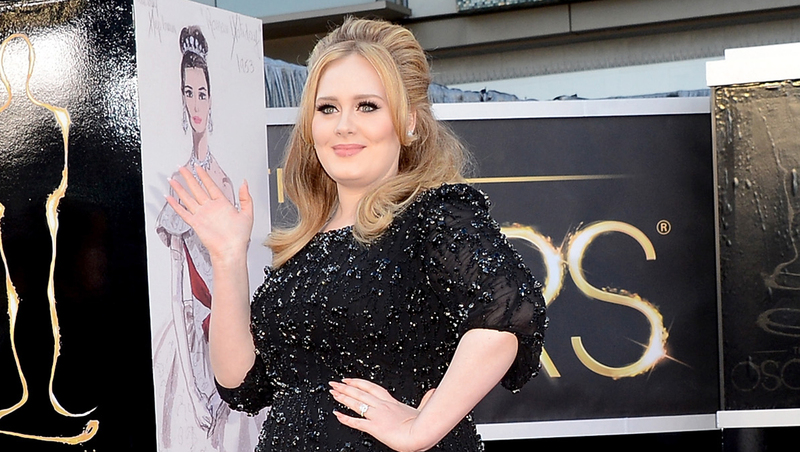 "Rumour Has It" singer Adele is fueling some new rumors about her next album. A message posted on the British songstress' Twitter page has some fans wondering if she's gearing up to release new music. On Sunday -- the day before her 26th birthday -- she posted a photo and tweeted, "Bye bye 25... See you again later in the year." The "later in the year" part is what has people speculating that a new album, titled "25," could be coming out sometime in 2014. It's been three years since Adele's last album, the also-age-titled "21," was released. That album went on to sell more than 28 million copies worldwide and win six Grammy Awards, including album of the year. Since the release of "21" -- which boasted hits like "Rolling in the Deep," "Someone Like You" and "Set Fire to the Rain" -- Adele won a Golden Globe and an Oscar for the theme to the James Bond film "Skyfall" and welcomed a son, Angelo, with boyfriend Simon Konecki.